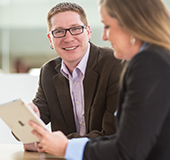 ATLANTA, Georgia, October 11, 2016 – SSOE Group (www.ssoe.com), a global project delivery firm for architecture, engineering, and construction management announced today that Project VDC / BIM Coordinator, Douglas Furia will speak at the Fall BIMForum, to be held October 17-19, 2016 at the Hyatt Regency Atlanta. 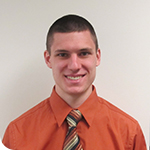 Douglas Furia joined SSOE’s VDC department after returning from a post-graduate design and construction internship in Uganda in 2014. 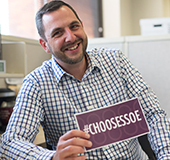 In his young career at SSOE, Douglas has been exposed to numerous business and design operations within the company, including design, estimating, technology coordination, reality capture, project management, on-site construction management, and procurement. 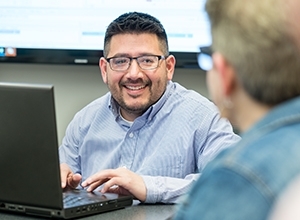 He currently is utilizing his multi-disciplinary background to develop better workflows for implementing BIM data for downstream construction and project management use. 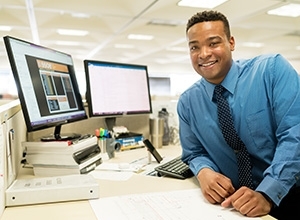 Furia studied both Architecture and Construction Management at Bowling Green State University in Ohio, earning a Bachelor of Science in Architecture and works in SSOE’s Toledo, Ohio office. BIMForum’s mission is to facilitate and accelerate the adoption of building information modeling (BIM) in the AEC industry. The BIMForum meets twice yearly, with significant growth in participation since its inception. 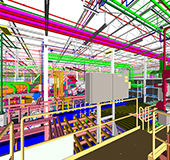 Influential BIM solution providers are involved in these highly interactive programs. 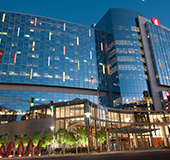 The Fall BIMForum will examine the changing standard of care of designers, builders, and owners, specifically taking a look at the new standard for professional coordination. Best practices to in professional coordination from architects, engineers, builders, and owners will be highlighted.